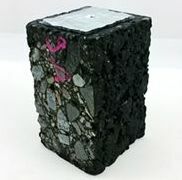 The cooling test or Thermal Stress Restrained Specimen Test (TSRST) simulates fully restrained pavements, as they occur in field for laboratory assessment of the thermal cracking resistance of asphalt mixtures. In the TSRST, cryogenic stress builds up due to cooling and prevented shrinkage until the tensile strength of the specimen is exceeded and the specimen fails by cracking. By carrying out TSRST various viscoelastic parameters, e.g. relaxation, evolution of tensile stresses, and tensile strength can be analyzed. Thus, a comprehensive view on the low temperature performance is possible. Standard TSRST is controlled by setting the cooling rate of the air within the chamber at a fixed value, e.g. -10°C/h. In thermodynamics, the actual cooling rate of objects is not only influenced by the cooling but also by external conditions like humidity, air velocity, radiation condition, etc. A current study investigates the impact of additional cooling parameters rather than just the air cooling rate. Two test machines of the same manufacturer that differ in the year of production and the setup of the climate chamber are compared. An initial wide scatter of test results from the two devices could be explained by taking thermodynamics into account and the reproducibility could be significantly enhanced. Steiner, D. and Hofko, B. (2018) “On the influence of basic thermodynamics on thermal cracking resistance of asphalt mixtures in cooling tests”, RILEM Technical Letters, 3, pp. 1-7. doi: 10.21809/rilemtechlett.2018.54.